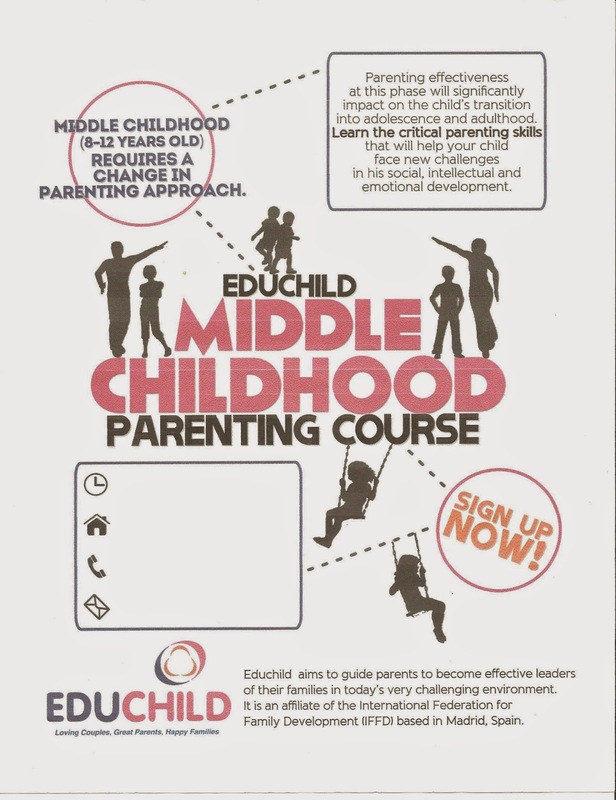 We are currently gearing up to facilitate/attend a 10-week course on Middle Childhood in our daughter's school c/o the Educhild Group. The course kicks off on August 16, wherein facilitators to the course will train on the 5 cases to be taken up in the "curriculum". As my husband and I are keen on learning how to raise our pre-teen daughter properly, we both signed up for the facilitator's training so we can maximize the benefits of this "parenting education". With all the cases and talks we have attend c/o Educhild, one thing we have learned is that being a good parent is one of the most difficult jobs that we have, if not the hardest. It's a never-ending learning experience. We always have to be prepared mentally, pschologically, emotionally, even physically to be able to fulfill our role as a parent. And this would only come if we really prepare and study for it. It is like learning how to play an instrument. First, you find yourself familiarizing with the parts of the guitar, for example. You need to know how to handle the bass bridges ﻿of the guitar, before you learn how to fret or manage to play the chords. Then when you do learn to play, you need to practice every day so that when you encounter more difficult musical pieces, you still manage to play it correctly. Then practice again and again until you know it by heart. I feel that that's how parenting is like, well, more or less. It's a hard task but we need to do it right. So, a-ja! I'm not a baby. I'm a kid.